Discover benefits of coffee for the body and skin, plus much more! 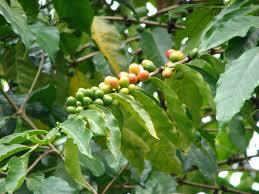 Coffee plants are cultivated in Latin America, Southeast Asia and Africa. Ripe coffee berries are picked, processed and dried yielding seeds inside. For desired flavor, seeds are roasted to varying degrees, then ground and brewed to make the coffee you drink. - Grind Coffee at Home and Drink Soon Afterwards for Freshest Results Inner part of coffee beans can go rancid if exposed to oxygen and moisture. The antioxidants begin to oxidize immediately after grinding. 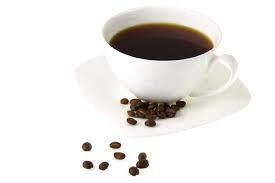 Drinking coffee, on empty stomach, can cause a sharp drop in blood sugar. - International Coffee Day is an annual event observed on September 29th in many countries, around the world! On this day, some businesses offer FREE or discounted cups of coffee. Some have special coupons. You may want to mark your calendar ahead of time so you don't miss out! 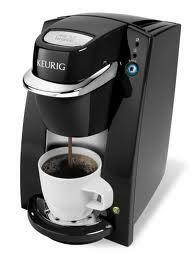 - Chronic Caffeine Use and Withdrawal May Cause Headaches. (a cancer causing substance.) The darker the roast, the higher the Acrylamide. Instant coffee has more amounts of Acrylamide than brewed. Coffee has a rich source of antioxidants, quinines, which become more potent after roasting. Antioxidants inhibit oxidation. They’re the body’s friend. They seek out, neutralize and destroy free radicals. They boost the immune system, keeping it healthy/strong. Free radicals can result in the onset of many diseases. They speed up the aging process and reduce oxygen levels in cells. They may lead to skin wrinkling, pre-cancerous and cancerous lesions. They can seriously affect the immune system and threaten our vitality. According to WebMD, researchers are now trying to figure out if topical caffeine protects human skin. In a study, caffeine was applied to mice skin. Sun damage was reversed and risk of skin cancer was reduced. 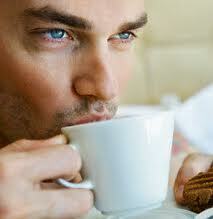 Coffee contains Tannin, a chemical that removes hydration and blocks skin pores. 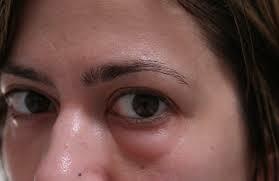 Drinking coffee, long term, can cause skin to be rough and brittle. Long term use of coffee can block the liver with toxins, preventing blood purification. Impure blood can taint skin cells, resulting in the possible development of liver spots as you age. Tainted skin cells can also lead to acne or worsen pre-existing acne conditions. Drinking high amounts of coffee, for a long duration, dehydrates the body. Skin becomes dried out. Drinking water hydrates/replenishes skin cells. What are the benefits of coffee in homemade soap? Grind coffee beans, finely, to exfoliate skin and help reduce cellulite! Add peppermint or other essential oil of choice. This homemade soap, with coffee grounds, cleanses, gets rid of "itchies" and reduces cellulite. It’s a great soap for those who work outside or garden. 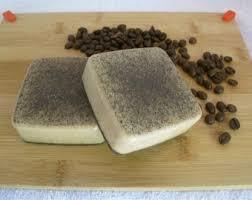 A goat milk soap with coffee grounds and peppermint oil soothes dry, itchy, skin. Learn how to make soap! Finely grind approx. 4 tbsp. coffee beans. Place in bowl. Add approx. 4 tbsp. unsweetened cocoa powder. Mix together. Add approx. 8 tbsp. unflavored yogurt. Mix all ingredients until a thick paste forms. Add approx. 2 tbsp. honey for dry skin OR lemon juice for oily skin. (To allow honey to mix well, it may need warming.) Add paste to clean face. Avoid eyes, ears, nose, mouth or any sensitive area. Allow homemade face mask to dry. Next, wet washcloth and place on face. Do not rub face. Mask will begin to loosen up. Rinse face with warm water. Gently pat dry. FIND COFFEE STUFF at AMAZON!